This Unconventional app got 100,000 downloads in less than 6 days at $4.99! 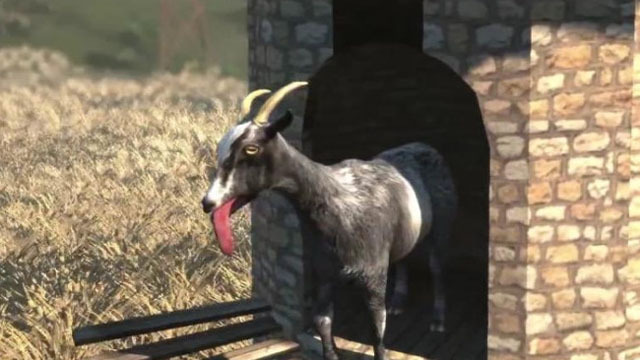 Ever fancied what it would be like to become a crazy goat Simulator? Goat Simulator is the new sensation in the android and iOS app marketplaces. The game, developed by Coffee Stain studios, was downloaded over 100,000 users and increasing at a price tag of $4.99 within 6 days as claimed by the game developers. However, there are no in-app purchases and the Coffee Stain Studios team really aren’t planning to add it in near future. The app is all about stopping a crazy goat from making havoc and was released in the marketplaces on 17th September.